Whether it’s the inevitable legalization of marijuana, the uptick in commercial drone use, gradual acceptance of cryptocurrency or constant threat of cybersecurity breaches, the need for legal counsel in these burgeoning areas can crop up overnight. Nimble law firms that react to these new market realities by launching a new practice area can win the day by expanding business with current clients and attracting new ones. From the outset, the basics should be in place: You’ll need buy-in from management; the new practice area must be a strategic fit and complement the other services already offered; and talent should already exist in the firm to establish a strong, cross-disciplinary group. 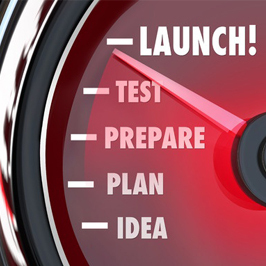 Once these critical pieces are in place, you are ready to build your launch plan. Here’s how. Clearly define why the firm is the foremost authority in the area and why your attorneys are the “go-to” sources for this type of service and experience. Perhaps the firm represents a leading advocacy group in this niche and, therefore, is tied into policymakers in Washington. Perhaps the practice chairs are former high-ranking government officials and bring the gravitas of those prominent roles with them. Maybe it’s the fact that the firm represents 10 of the Fortune 100 companies that have particular needs for legal counsel in this space. Whatever the differentiator is, it has to be well-stated and made obvious. You need to do more than just say you’re awesome; you’ll have to show that you’re awesome. The best way to do that is by developing a strong thought leadership platform. Whether it’s a blog, a series of client alerts curated on the website, well-placed bylined articles linked back to your website, a well-researched study, or all of the above and more, these activities give you credibility as someone well-versed in the subject matter. You also can retool the same topics used to develop the content into webinars and live events, podcasts, a video series, case studies, industry surveys, and infographics. The list is practically endless. With all of this content stored on the firm’s website that clearly demonstrates you have the goods, it’s time to announce the formation of the new practice. A press push may not turn up immediate coverage, but it will put the practice and its chairs in front of key reporters who can turn to them as a source when writing about something that is germane to the new area. You will need to notify clients and potential clients, perhaps by arranging formal client meetings in addition to a client alert. A strategic social media campaign will be a critical component for disseminating the news to a wide and diverse audience. And don’t forget the firm’s internal audiences, since they offer valuable cross-selling opportunities when they are aware and knowledgeable of the new capabilities. If you are planning to launch a new practice area and need more information about how to make sure it takes flight successfully, contact Vivian Hood at vhood@jaffepr.com.